Dengue fever is a contagious disease caused by mosquitoes and is caused by four related dengue viruses. This disease is called break bone fever because it sometimes causes severe joint and muscle pain, which is breaking the bones. For more than 200 years, health professionals know about dengue fever. Dengue is a mosquito-borne viral infection. The infection causes flu-like illness, and occasionally develops into a potentially lethal complication called severe dengue. The global incidence of dengue has grown dramatically in recent decades. About half of the world’s population is now at risk. Dengue is found in tropical and sub-tropical climates worldwide, mostly in urban and semi-urban areas. Severe dengue is a leading cause of serious illness and death among children in some Asian and Latin American countries. 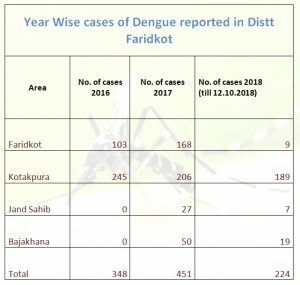 There is no specific treatment for dengue/ severe dengue, but early detection and access to proper medical care lowers fatality rates below 1%. 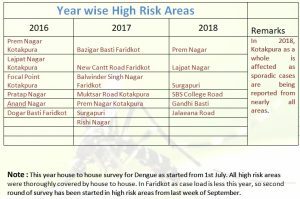 Dengue prevention and control depends on effective vector control measures. Government healthcare and dengue treatment are free.